Composer J. Andrés Ballesteros (b. 1991) received his B.A. in Music in 2013 from Harvard University, where he studied with Chaya Czernowin, Hans Tutschku, Edgar Barroso, and Trevor Bača. He is deeply thankful for all of them. Prior to his studies at Harvard, he started composing under Jack Jarrett in North Carolina. He has also studied at the European American Musical Alliance in Paris, France; at the highSCORE festival in the Milanese suburb of Pavia, Italy; and at the Harvard Summer Composition Institute in Concord and Cambridge, MA. Andrés has enjoyed writing music for a wide range of ensembles, from professional ensembles including the Talea Ensemble, the Juventas Ensemble, and the Callithumpian Consort; to amateur groups such as the Greensboro Youth Chorus, the Brattle Street Chamber Players, and the Mozart Society Orchestra; to middle and high school ensembles. He has also written for several short films and a documentary (which have screened at festivals in New York, Boston, Chicago, and Providence) and for other media such as podcasts, e-books, and apps. His music focuses on developing textures and timbres, with layers sometimes working together, and sometimes against each other. He has been honored to receive a number of awards, among them the Music Educators National Conference National Talent Search, the RED NOTE New Music Festival, and two honorable mentions in the Pikes Peak Young Composers’ Competition. Andrés was the recipient of the 2012 John Green Fellowship from the Harvard University Music Department in support of "excellence in musical composition" and of a 2013 Davidson Travelling Fellowship. Andrés participates in the music world beyond composition as the artistic adviser for the Eureka Ensemble, which nurtures social change through music. He previously served as community liaison and librarian. 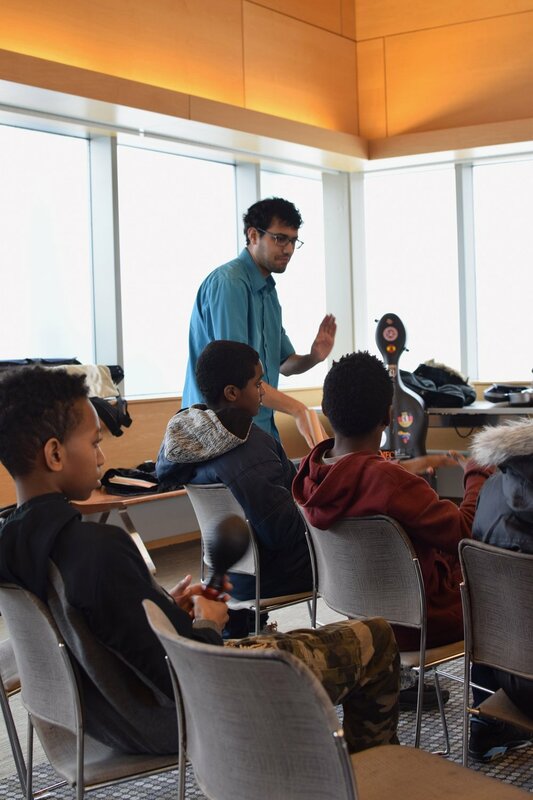 Recently, he has also been working with a team of Boston-area musicians to discuss and encourage increased inclusion in the Boston classical music scene. He is also involved with education through his work in the Music Department at the Boston Arts Academy, where he teaches music history, ethno-musicology, music theory, and creative writing, many of which are based on original curricula. He remains an active member of his community through volunteer work and engaged citizenship, especially dealing with inclusion, including through the Franklin D. Roosevelt Foundation and Scouts BSA.